The 15 year old guy was trying to get a “good shot” of camera happened on June 18. The said extreme selfie pose with one a 9mm firearm pointed at his chin while on the other hand holding a phone. 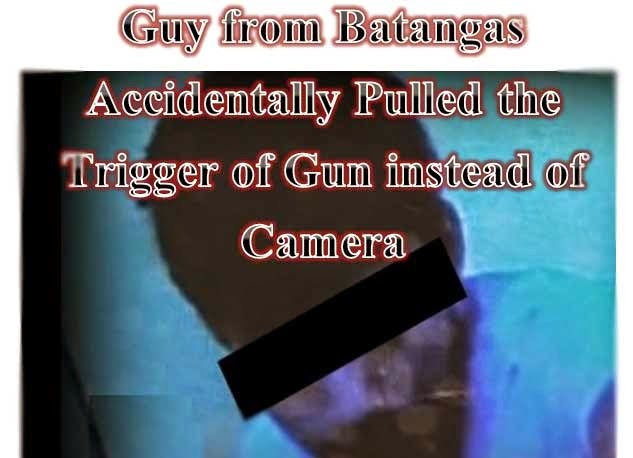 According to the report by ABS-CBN the guy was able to get the gun from his uncle. The guy is recovering but the family noticed some changes, and complains of headaches so they are now seeking for Medical advice and returned to the hospital, he’s now admitted to ICU of Batangas medical center. The family will not file a case against their relatives who owns the gun because it is an accident. They now asking for financial support for almost 200K debts from his previous hospitalization. We also have the first report of extreme selfie that killed a 21 year old guy.